Draplin Design Co.: DDC-052 "Philadelphia Torso Cover"
01. Good, comfortable weight to the things. Way comfy. 04. Think ink on durable fibers. 05. Proudly printed in Philadelphia by the beasts at Awesome Dudes Printing! 07. Very, very limited run of these guys, so act quick. 08. Extra “DDC/PHL” upper back hit to commemorate our Philly talk! 09. 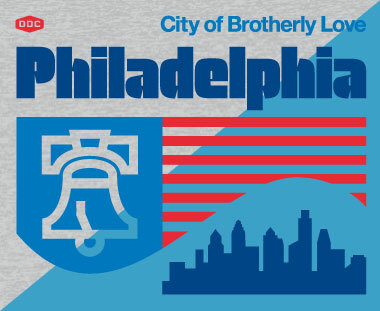 Good for a Philly summer day, or extra layer for that Brotherly Love winter. 10. Dig this? Hell, check out our “Philadelphia Freedom” poster! 11. Good for wiping up cheesesteak mishaps. There you go.